Álftanes is known for having a great variety of birdlife. It has a unique shoreline, clear ponds and water and is therefore an important stopover for migratory birds. 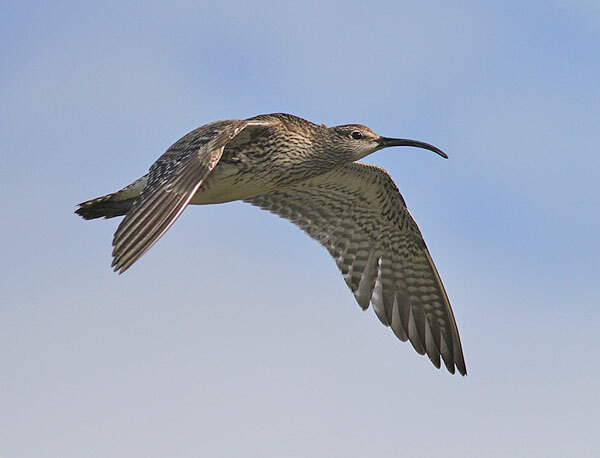 It is possible to watch the arrival of the migrating birds in the spring time, their breeding period and their preparation for their long-distance flight in the autumn. Beaches and mud-flats are accessible year-round and are very interesting because they have many birds that stay through the winter. The whopper swan (Cygnus cygnus; Icelandic - Álft) is a large northern  hemisphere  swan. The whopper swan has a deep honking call and,  despite  its size, powerful wings. The Icelandic breed usually migrate over winters  in the United  Kingdom  and Ireland. The swan song  (in ancient Greek: κύκνειον ᾆσμα) is a metaphorical phrase for a final gesture, effort, or performance given just before death or retirement. The phrase refers to an ancient belief that swans  (Cygnus spp.) sing a beautiful song in the moment just before death, having been silent (or alternatively, not so musical) during most of their lifetime. This belief, whose basis in actuality is long-debated, had become proverbial in  Ancient Greece by the 3rd century BC, and was reiterated many times in later Western poetry and art. Álftanes, in fact, translates as the  peninsula  of the swans. The raven (Corvus corax; Icelandic – Hrafn)  breeds in all regions of Iceland. Ravens have co-existed with humans for thousands of years. For a bird, the raven is  unusually  intelligent and over the  centuries it  has been the subject of mythology, art and literature. It is said that ravens hold a kind of conference twice a year,  in spring and autumn, to discuss  whether  they  should be naughty or  well-behaved. If you are  lucky you may witness such a meeting in Álftanes. The starling (Sturnus vulgaris; Icelandic – Stari) is found mainly  in the southwestern region of Iceland. This lively bird  is commonly seen year-round in Álftanes and usually in flocks over the wintertime. The  starling’s  gift for mimicry has long been recognized. In late  winter the golden plover can sometimes be heard singing, much to the delight to the  Icelanders, who believe it signals the arrival of summer. However, the fact is that  these lovely sounds  are only the rascality of the starling! 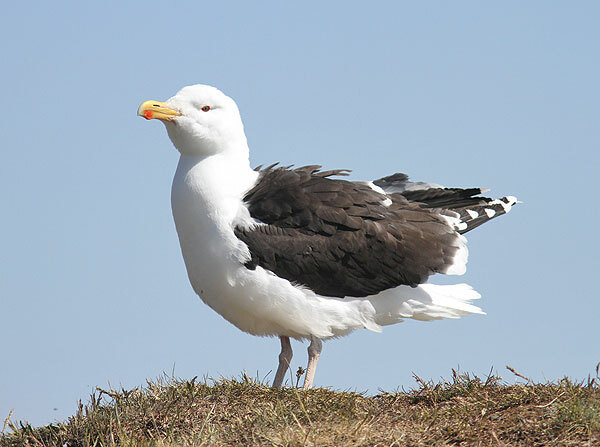 The great black-backed gull (Larus marinus; Icelandic – Svartbakur) is the largest member of the gull family. In Iceland it is common along the coast. Like most gulls, great black-backed gulls are opportunistic feeders,  apex  predators  and very  curious. During the winter they often travel far out to the sea to feed, likely following the  trawlers  for some leftover fish. The arctic tern (Sterna paradisaea; Icelandic – Kría) is seabird of the tern family sternidae. This bird has a circumpolar  breeding distribution covering the arctic and subarctic regions of  Europe, Asia, and North America. The species is strongly migratory, seeing two  summers  each year as it  migrates  along a convoluted route from its northern breeding grounds to the  Antarctic  coast. This great traveler’s yearly route to and from Iceland is over 70,000 km! The European golden plover (Pluvialis apricaria; Icelandic – Heiðlóa) is a large plover  and  known to be the fastest game bird in Europe. In Iceland it is a protected species and highly venerated as the  messenger  of summertime when it arrives in the spring. 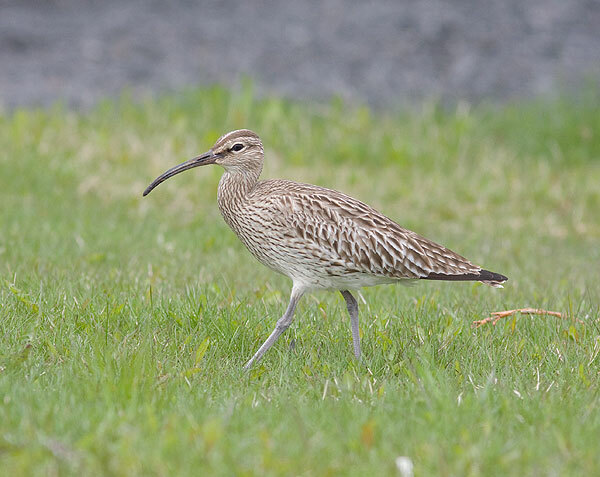 The whimprel (Numeniues phaeopus; Icelandic – Spói) is a wader in the large family Scolopacidae and it has a long, downward bent beak. Its  breeding area is across much of  subarctic  North America, Europe and Asia and as far south as Scotland. In Iceland whimprels are found in all types of wet areas, such as bogs and wet heather regions. The common blackbird (Turdus merlula; Icelandic – Svartþröstur) is a species of true thrush. In recent years it has started breeding in Iceland and some spend the whole year here. The blackbird is all black except for a yellow eye-ring and it has a rich, melodious song. 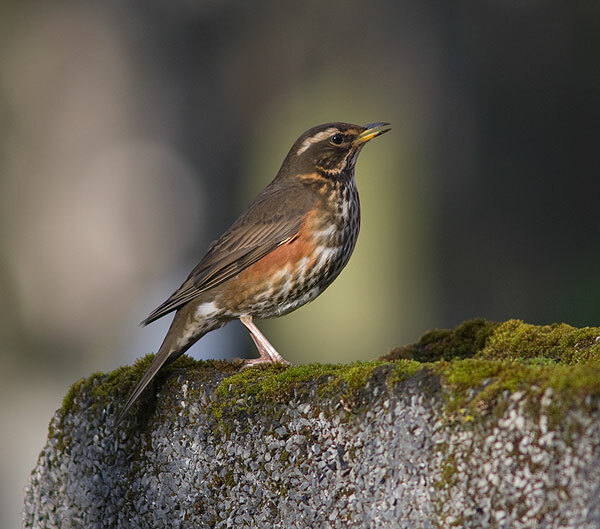 The Redwing (Turdus iliacus; Icelandic – Skógarþröstur) is relatively small thrush bird and is common in Iceland, especially were trees grow. In winter it generally migrates south, although a small population remains over the winter, e.g. in Álftanes. The white wagtail (Motacilla alba; Icelandic – Maríuerla) is a small and beautiful passerine bird in the wagtail family Motacilladae. It can shy away from human activities or settlements and is often been seen in quiet areas like Álftanes. The Icelandic  white  wagtail migrates  to Western Africa in winter. The Eurasian  oystercatcher (Hameatopus ostralegus; Icelandic – Tjaldur) is a wader and  wide spread  in the northern hemisphere. It is unmistakable in flight, with white patches on the wings and tail and otherwise black upperparts and white underparts. It is the national bird of the Faroe  Islands, where it is called tjaldur, as it is in Icelandic. The Brent goose (Branta bernicle; Icelandic – Margæs) is a passage bird. It spends the winter in the  British  Isles  and breeds in the northern part of Canada. During the spring and autumn  it stays a while in Iceland before and after its long journey over Greenland (3,000-4,000 m high) and up north to the breeding areas. The greylag goose (Anser anser; Icelandic – Grágæs) has a rotund, bulky body, a thick, long neck and a large head and bill. The greylag goose has a loud cackling call: HOOOOOONK! or GAA! It is common in lowland regions where it breeds in marshy areas. One can often see it feeding in meadows, especially in the spring before breeding starts.